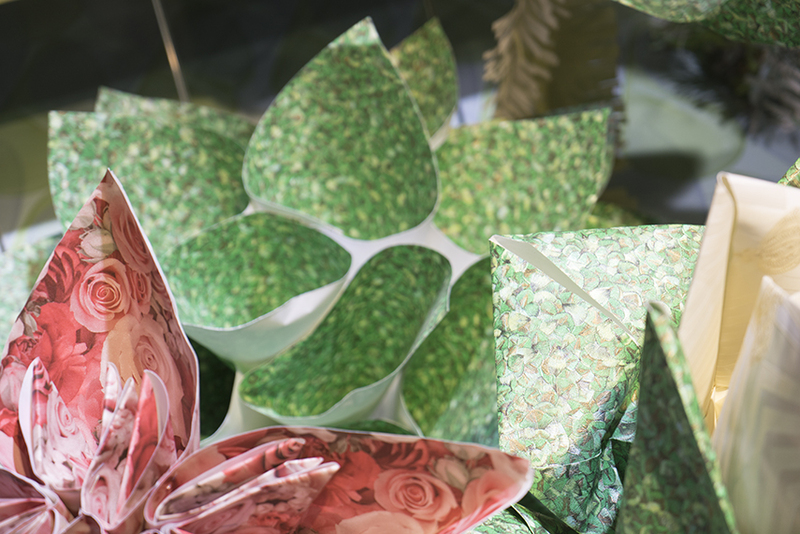 With Pantone’s announcement of Greenery as the ‘Colour of the Year 2017’ one thing is clear – the green trend is here to stay. 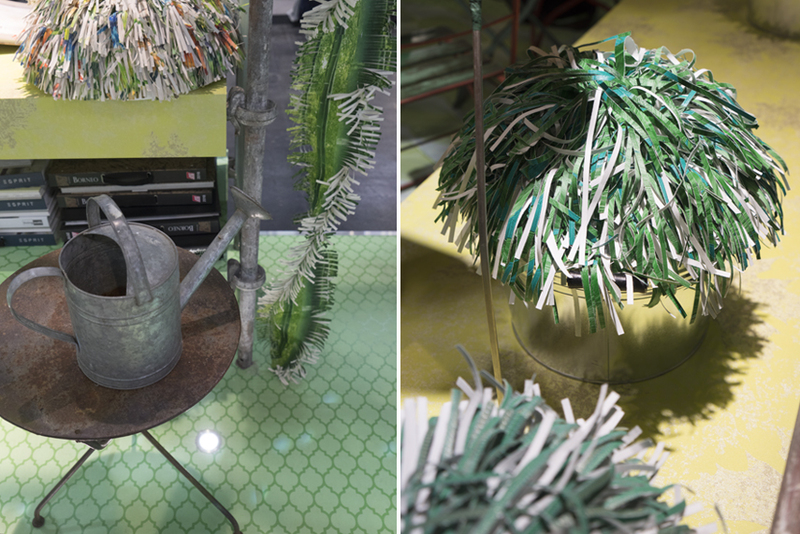 And the botanical trend has evolved and developed over the past few years and has surpassed the mere use of houseplants in interiors. 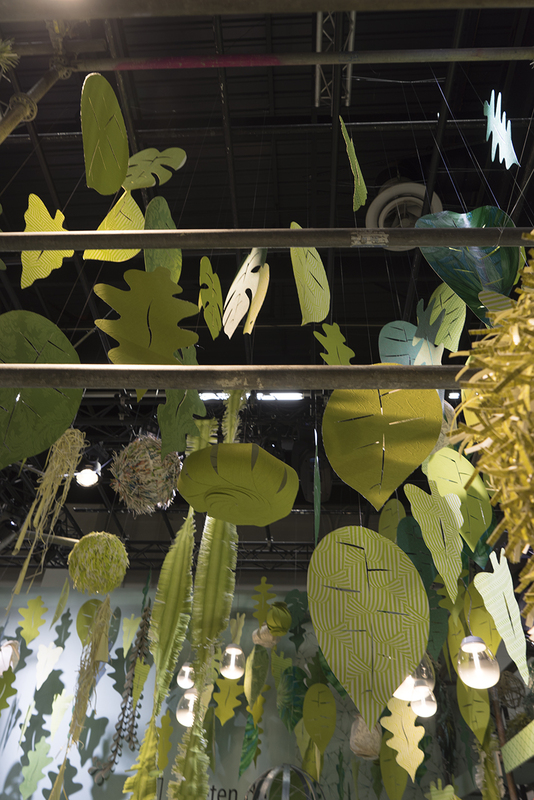 In fact, the botanical trend has spread to interior design and features botanical prints, plant mimicry, plant accessories, plant inspired furniture and botanical wallpaper. 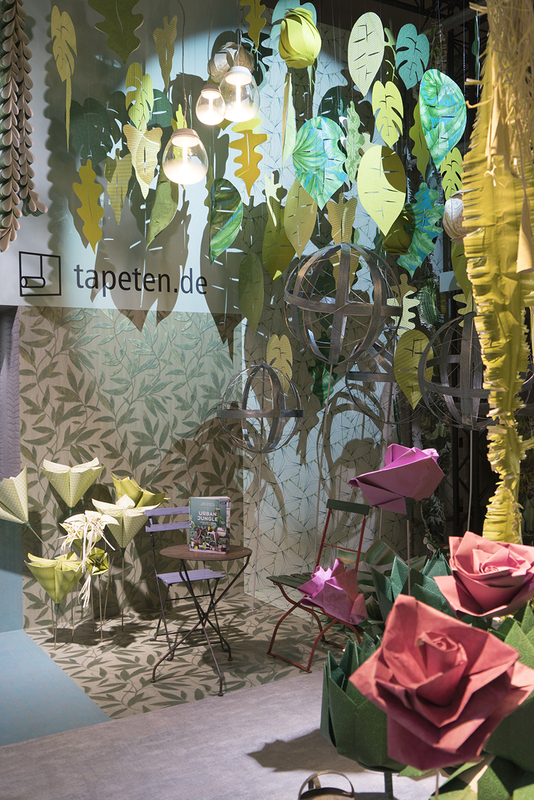 When we heard of an installation called ‘The Wallpaper Paradise’ by the German Wallpaper Association (Deutsches Tapeten-Institut), we were all ears. 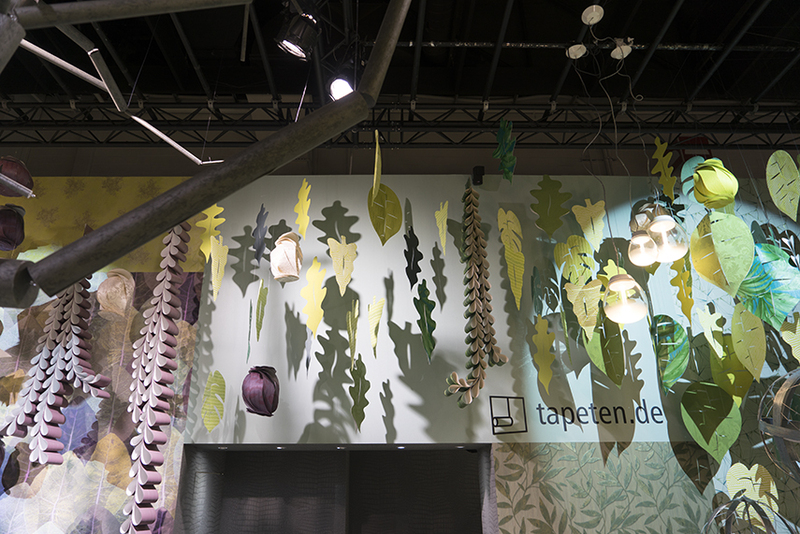 In fact, we were all ears and eyes because we came right to the imm furniture fair in Cologne to see their booth and their jungle interpretation. 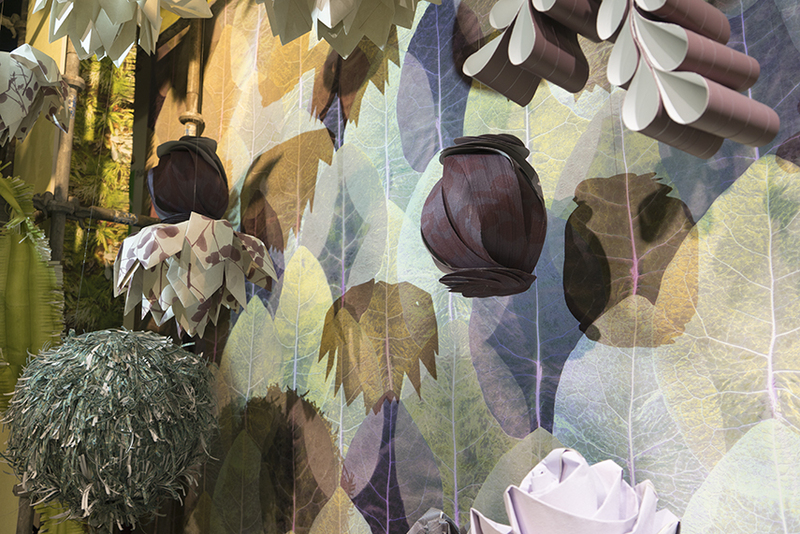 Wallpaper has experienced a great boom – a little bit like houseplants if you want so. The story was similar: Both were very popular in the mid-century period up to the 1970s and 1980s and then became unfashionable. 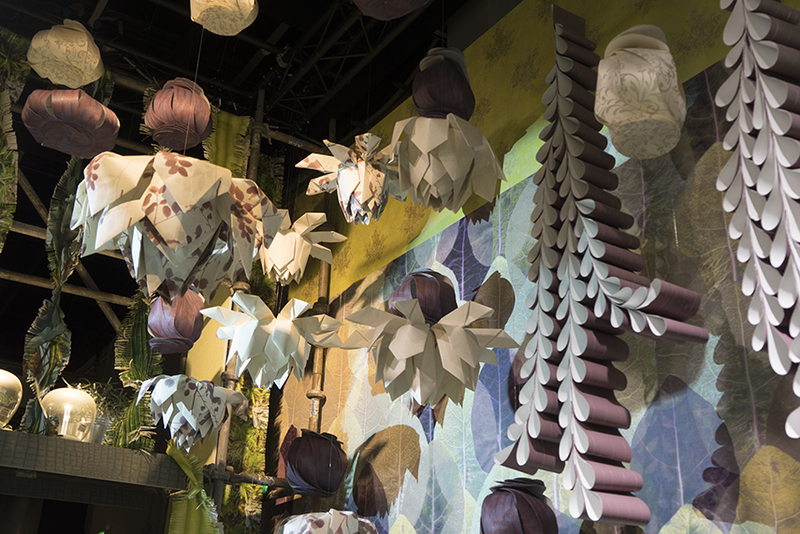 Until a few years ago when both had a big comeback in the interior world: Plants moved into creative homes and wallpaper was trending again. 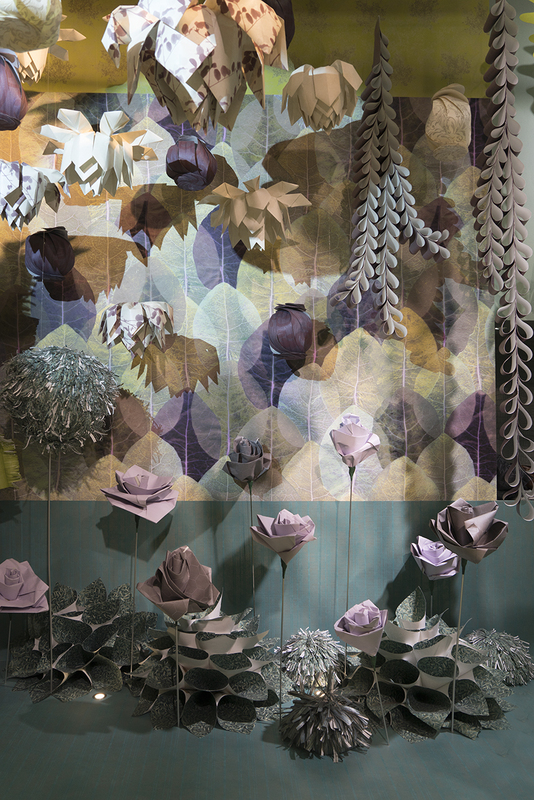 The popularity of both boosted also the quality, creativity and variety of both, plants and wallpaper. 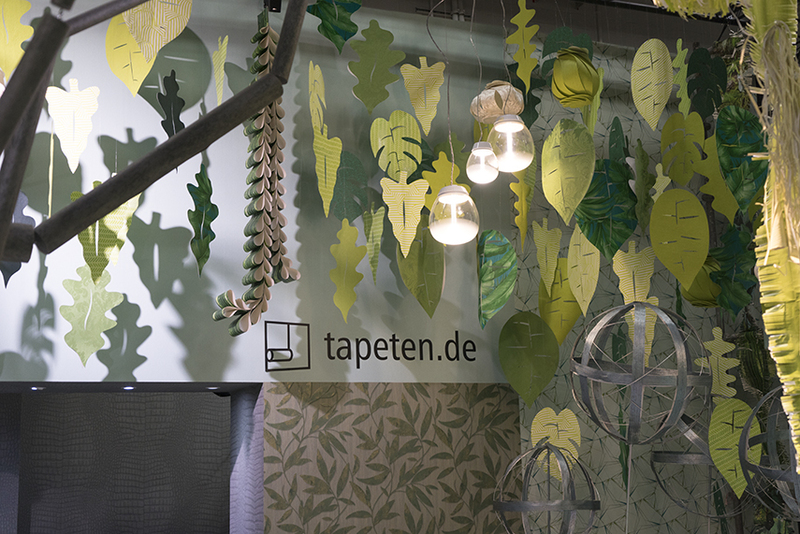 And this aspect is highlighted at this year’s booth of the German Wallpaper Association at the imm design fair in Cologne – a ‘Wallpaper Paradise’ celebrating the beauty of nature and wallpaper all in one space! 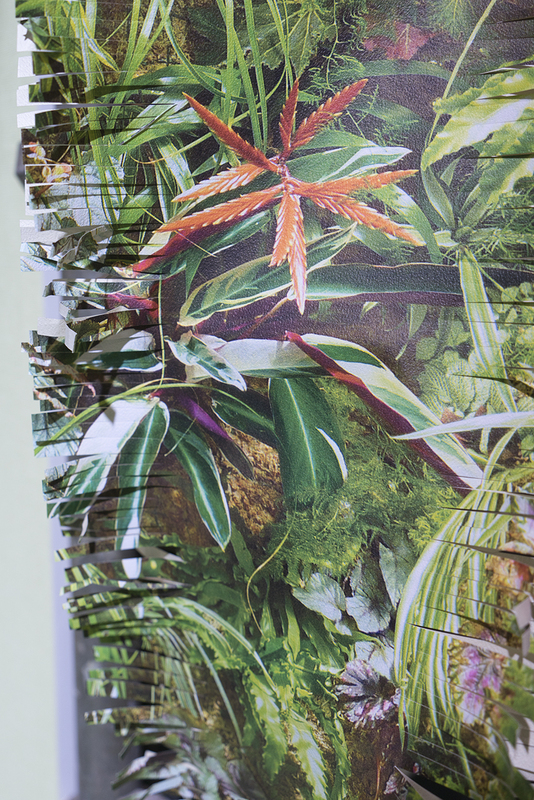 The new wallpaper designs feature green and natural hues and surprise with contemporary and graphic designs as well as amazing haptic effects – these wallpaper designs need to be touched and not only looked at! 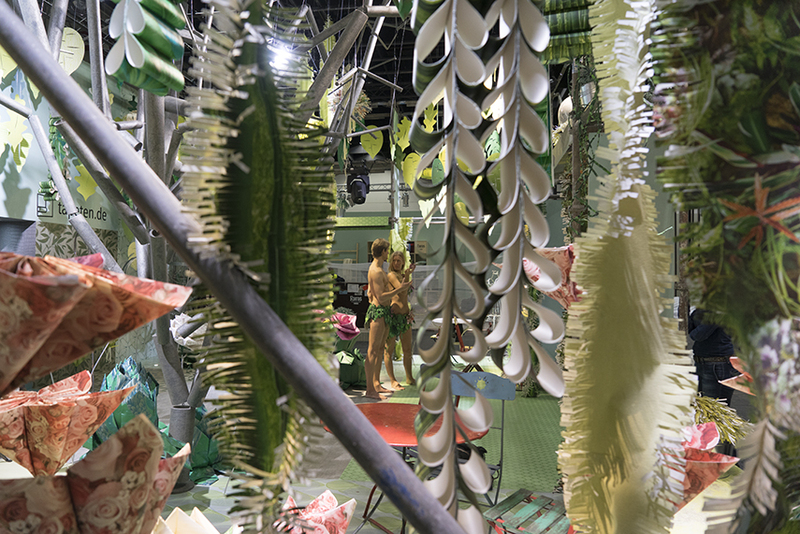 The ‘Wallpaper Jungle’ is an almost dreamy escape from reality drawing the visitor into its green realm: Huge flowers sit next to fleshy succulents, trailing plants cover the pillars, botanical leaves cascade from the ceiling, numerous hues of green mingle with purple notes, earthy tones and vibrant pinks. 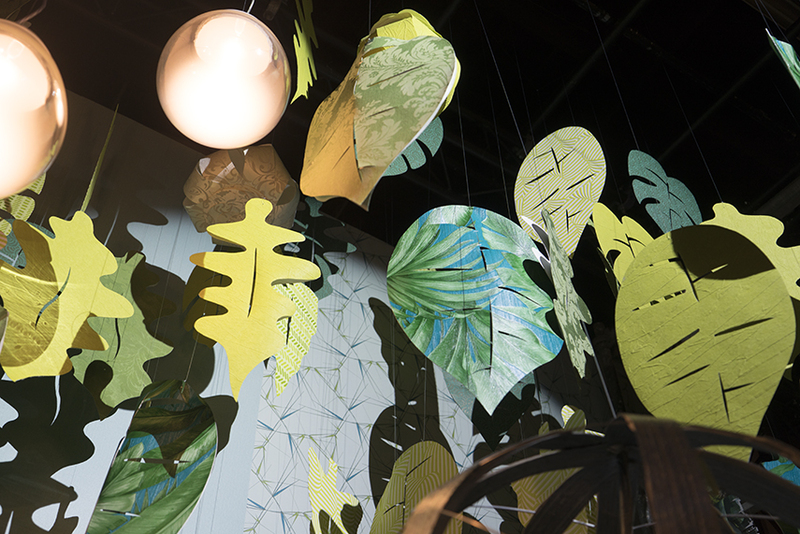 A garden of Eden made entirely of – you guessed right – wallpaper! 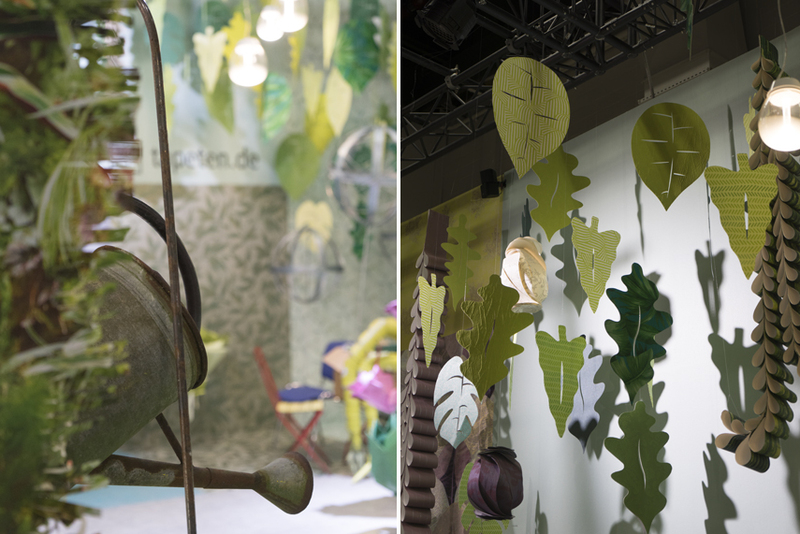 Not a single plant is used in this space, not a single plant pot, nor any soil: The German Wallpaper Association manages to surprise its visitors by showcasing the versatility and beauty of wallpaper. And a paradise should have its proper inhabitants – don’t be surprised if you bump into Adam and Eve if you visit the booth in Cologne! 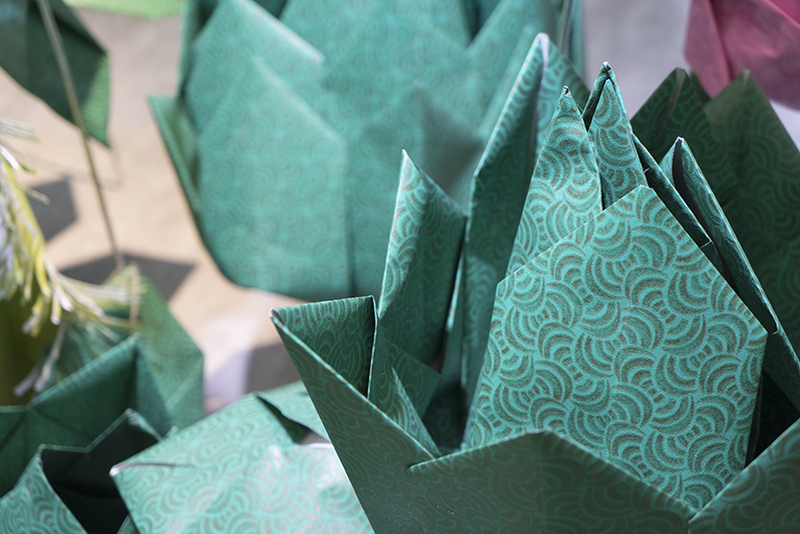 Our heart beats for plants but we also love everything botanical that elevates the green trend into something tangible for your home. Beyond plants you can transform a room into a botanical paradise, into a real jungle, with a wallpapered feature wall for example. 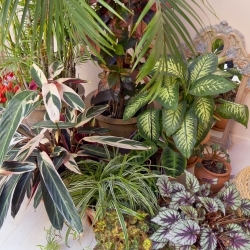 Imagine a feature wall with a bold wallpaper design with tropical foliage as a backdrop for your plant gang. 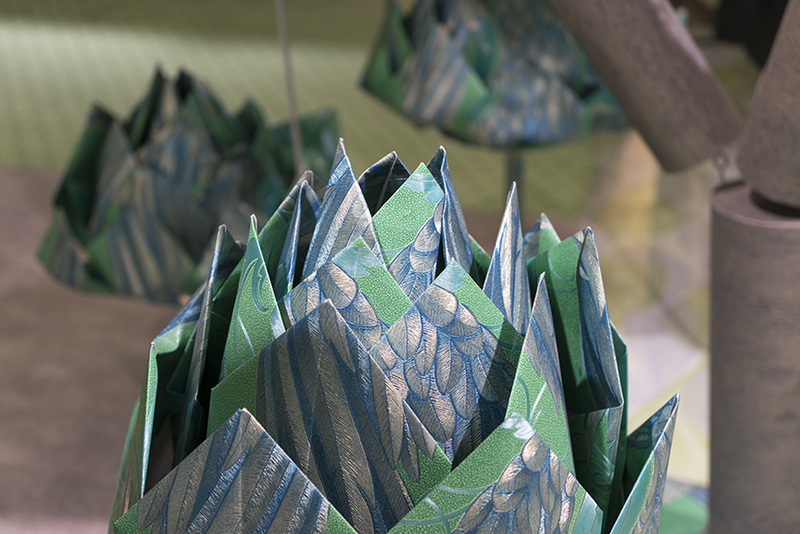 Can you imagine the fantastic 3-dimensional effect? I think this is a dream idea for a future Urban Jungle Bloggers office, don’t you agree? If you have the chance to visit this year’s imm furniture fair in Cologne do not miss to visit the booth of the German Wallpaper Association in hall 3.2. You are in for a treat – the paradise has never been closer! If you live to far away, we have some pictures for you live from Cologne. And after the fair we will share a little video with you too. Stay tuned! This post is brought to you in collaboration with the German Wallpaper Association (Deutsches Tapeten-Institut). Thank you for supporting the brands that help support Urban Jungle Bloggers! Photography by Urban Jungle Bloggers.